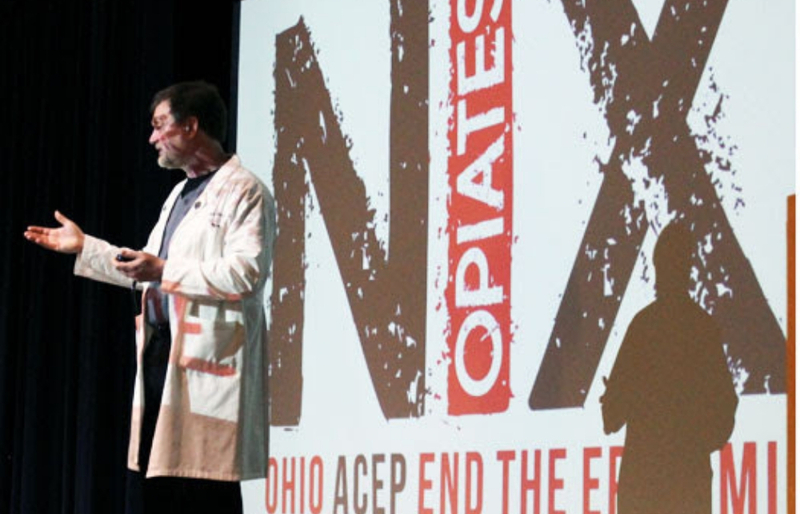 NDCL’s Certified Peer Educators recently participated in NIX Opiates, a compelling firsthand account of the danger and depth of the opioid crisis presented by an emergency medicine physician who is on the front-line of the battle with the deadly drugs every day. From his professional perspective as a physician and personal perspective as a parent and community member, Dr. John Queen of the Cleveland Clinic’s Center for Emergency Medicine shared the dangers of prescription and street opioids and described how quickly persons can become addicted. Dr. Queen’s presentation was part of the opioid outreach and education efforts sponsored by the Ohio Chapter of the American College of Emergency Physicians (ACEP). He serves as the president of the executive committee of ACEP’s Ohio Chapter. Dr. Queen is the father of senior Kevin Queen and incoming freshman Jackie Queen. NDCL’s CPE program provides skill training and other learning experiences to empower students as stronger leaders, better role models, more effective advocates, and more productive team members. Through CPE, students enhance their confidence to believe in themselves and the power of influence they have on others. NDCL is the only high school in Ohio to offer CPE training for high school students through the National Association of Student Personnel Administrators (NASPA), a professional organization of college and university administrators. Pictured In Cover Photo: On the front line: Emergency medicine physician Dr. John Queen relates his experiences treating persons affected by opioid addiction during a presentation to NDCL’s certified peer educators.